I will carry you today. Will you carry me on some tomorrow? Right, that’s certainly one answer. Hehe sorry I saw the question and it was an instant mental response. No need to be sorry, that is an answer (justified or not) for many. I do hope it’s not the answer for my tomorrows. Fun photo! It makes me think of parenthood–and that “carry” has many levels. Although I do not want my adult children to carry me physically or financially, their support on the emotional and spiritual levels are indispensable. I reckon all great photography and art opens the door to pondering life’s mysteries. Thanks for this. Such a gorgeous snap! I love it! Thank you for posting this. It is so beautiful. I am going to repost. OMG! So cute! I love it! Lovely photo 🙂 Also thank you for visiting & liking my blog post! 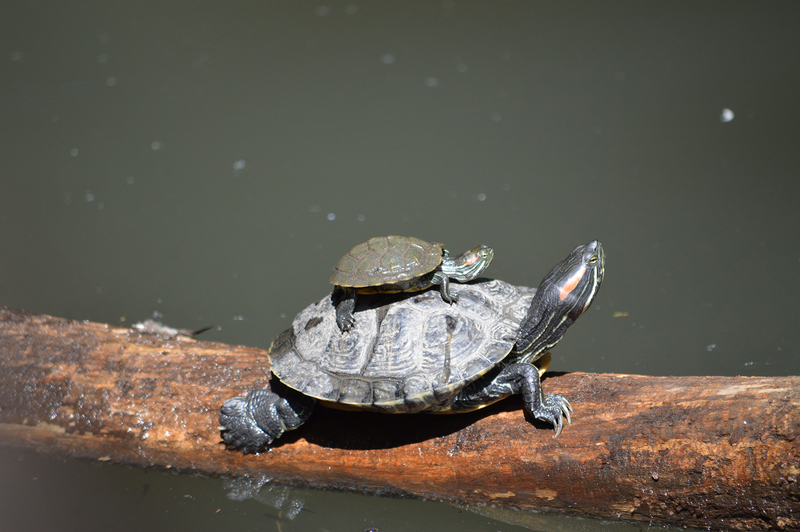 I am reminded of the old myth that the world is carried on a turtle’s back, and that turtle is carried by a bigger turtle, and so on to infinity. Thank you. It was a great shot by my son Wolf. Thank you, my son took this.